Come one, come all. Everyone’s welcome to join in with the activities and entertainment at Manor Lodge. There’s a lot going on. How much you take part in is entirely up to you. 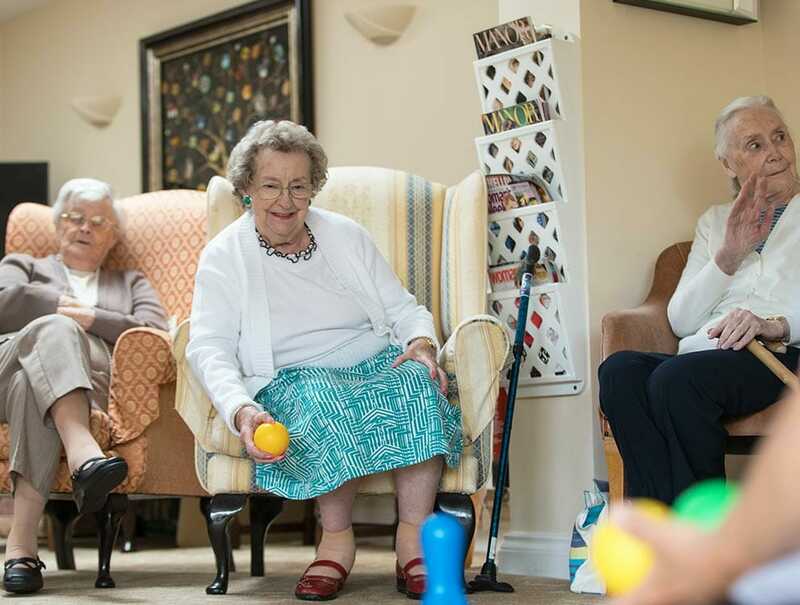 We run a programme of daily activities which includes exercise classes, quizzes, outings, and active fun games like netball and skittle. Sounds a bit too energetic? Understood. We also offer board games, arts and crafts, card games, and communal knitting for charity if taking it easy is more your thing. We also bring in entertainers like musicians, choirs, harpists and singers. It’s better than having us provide the music, we promise. There are regular outings too. Some of the things current residents like doing include going to the seafront, visiting garden centres, indulging in a spot of cream tea, going to coffee mornings and doing a spot of shopping. You’re invited to have your say at our residents’ meetings too. We’re open to suggestions. There’s a good selection of shops within half a mile of Manor Lodge. If you can’t visit them on your own, then there are plenty of other options. We have an arrangement with many of the local shops that they will provide a variety of goods on approval. Our own shop at the lodge stocks many commonly needed items, and we also have an organisation that brings in items for you to peruse.